911uk are happy to recommend the Insurance services of AIB Porsche Car Insurance for all your car insurance requirements. 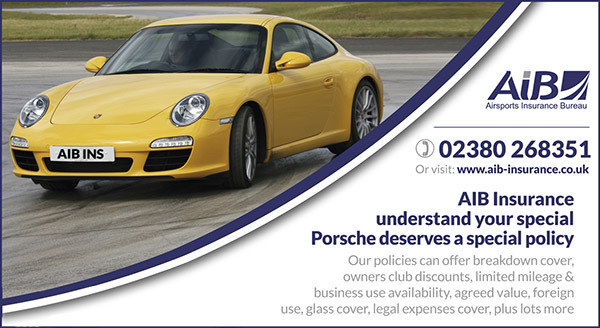 Get a Competitive UK Porsche Car insurance Quote from AIB Today! AIB are a specialist centre for performance and modified vehicles, they have facilities and resources to provide extremely competitive quotes. AIB offer independent advice and search the market, to find you the right cover with no obligation. Make them your first and last call for your import and performance insurance. The importance of dealing with an experienced centre dedicated to the needs of high performance and imported car owners cannot be over emphasised. AIB are authorised and regulated by the Financial Conduct Authority (Membership number 312153) to transact general insurance.